I have two pairs of headphones. The first are some pretty nice AKG studio monitors I use to loop Porter Robinson and block out the idiocy that floats around my office like a haze of weaponized sulfur. I keep these at my desk, so there's little risk of damage. The second is, or was, a pair of in-ear buds whose name I can't remember (not pictured). They had excellent sound quality. These stayed in my backpack, traveled with me, and allowed me to watch Mighty Car Mods while on the bike at the gym, so I could forget for a while that I'm designed strictly for being fat and sweating like a glass of tea in the Georgian August. My brother bought them for me last Christmas, and I really liked them. Then they stopped working. My friend gave me a pair that came with his phone, but they abruptly came apart and I don't mind so much, because they had terrible sound quality. 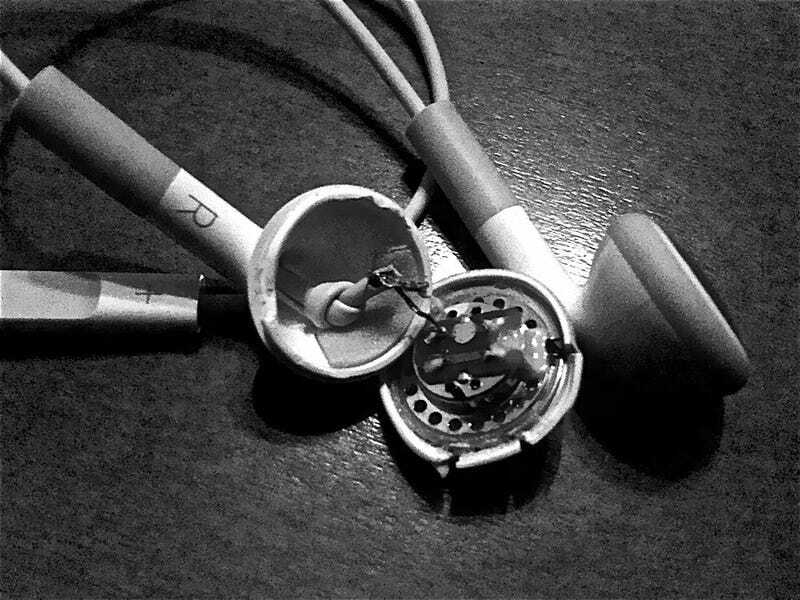 So I need some replacement earbuds, but I want them to last. I want them to be tough. I want to be able to take them with me. To places. And I want them to be cheap enough to put on my Christmas list. What do you recommend, Oppo?